November was yet another month that flew by in a flash. But I must say that out of all the months this year, this month was THE most productive on the sewing front. Which I think is a bit weird considering that it's fall and it's been cold out...it's prime knitting time. Oh well, I really can't complain since I've been wanting all this sewing time for ages now. I will have to admit though, that since the sewing has taken over, not much else has happened. 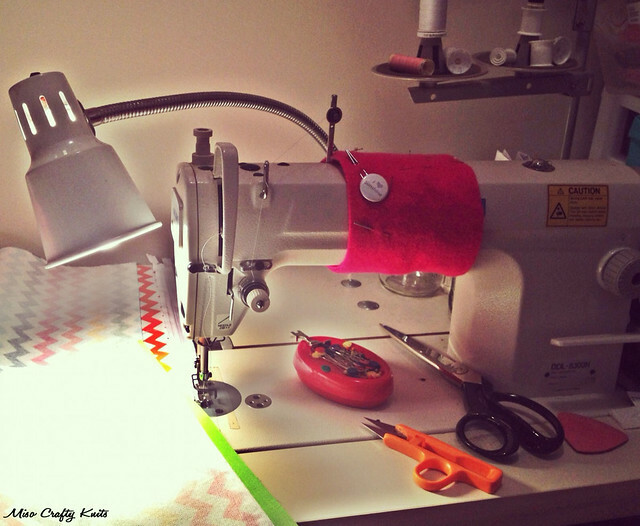 If I'm not thinking about my sewing machine than I'm thinking about my rotary cutter. If I'm not putting together vehicles made of Lego then I'm in front of my sewing machine going full throttle. As I went over my crafting calendar last night I realized that this month I spent more time sewing than I did knitting. Huh? What's up with that? Usually it's the other way around. Oh right. I'm trying to make a very conscious effort to stock up my etsy shop (and keep it stocked!!) in hopes that maybe I can turn this little business of mine into a full-time job that will allow me to stay at home with my kiddo when he's not in preschool. I'm still trying to figure out a schedule and work out some kinks to make my time more efficient, but trust me when I say that I'm taking advantage of every second that I'm kidlet-free. 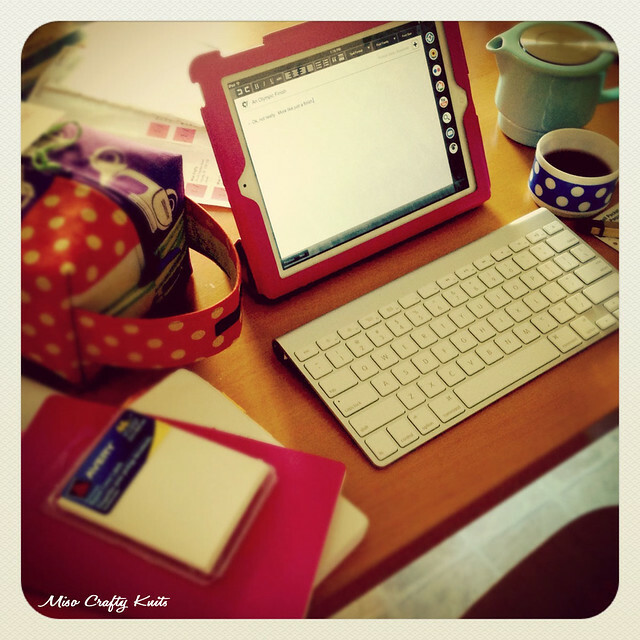 Sadly, this means knitting, blogging, and any other crafting has taken a (temporary) backseat. I haven't been sewing up nothing but project bags though, oh no...I've been trying to whip up some holiday presents and some special little somethings for the Munchkin's classmates (which I might have to nix and try something different). Yes...it's been nothing but sewing all month and I have a feeling it will go well into December too. But you know what? I don't mind it one bit. If anything, I love it. Now I just need to make sure I allot myself some knitting time, then I can be fully happy! I used to be heavily into cross stitching back in high school and in my early 20s. Then I went to fashion school and didn't have the time to stitch any more and eventually completely forgotten all about it. The last time I stitched I was working on a glorious yet massive piece in which Rainbow Brite sits atop of a rearing Starlite, all on a cloud (of course), as a sparkly rainbow dotted with stars emits from Rainbow Brite's hand...all underneath the banner of "Color Your World With Love!". Anyhoo, I digress. Recently my love of cross stitch has been rekindled...when I saw hordes (ok, it was only a handful) of photos floating around Instagram about a quasi Kawaii Winter Wonderland stitch-along that was going on. I took a peek at the sampler (so darn cute!!!) and I had hemmed and hawed about doing the sampler myself. I wasn't sure if I would have the time to do it, not to mention that I had gotten rid of all my cross stitch stuff before making the move to Victoria. On the last day of the sale, I caved and bought the pattern. The next day I went to the closest big box craft shop and got all but 9 colours of thread and some Aida cloth. Of course the 9 colours missing were the ones I needed to even start the first day of the sampler! So I went on a hunt. I went to various shops, even to the specialty shop, and wouldn't you know it, the colours I needed were no where to be found! Wtf? Disheartened I returned home and searched the web and managed to order the remaining colours. But get this, you're going to laugh at me...the online shop was on backorder for those exact colours!!! Seriously! I don't think I was meant to do this sampler. The Universe has spoken. Well, screw you Universe!! I'm going to do it anyways!!! Um...yeah...so I prepped my cloth and tried to do some sort of stitching with the colours that I did have. But I had a weird feeling about it all. 2 hours into stitching I stepped back to admire what I had accomplished. Yeah...that weird feeling I had? It was because the Aida cloth I had was not only too light that the white stitches didn't even show, but it was completely and totally off grain. I think I screamed. I can't remember. I still want to stitch this sampler up, and I'm still waiting for those 9 colours to arrive in my mail box. Bad stuff happens in threes, right? Should I just let the third bad thing happen and continue on with the project? Or should I just set this sampler aside and do it next year? But it's just so darn cute! I first heard and read about thrummed mittens via The Yarn Harlot through this, this, this, and this post. But it's only recently that I've had the desire to knit myself a pair. I don't know whether it's because my thyroid no longer makes me a walking human furnace, because I'm all of a sudden a weakling that it takes only an open refrigerator door to get my teeth chattering and my skin all goose-fleshy, or because it gets insanely dampy chilly cold here on the West Coast and I have to drive the Munchkin to preschool in the morning when it's über cold out and my fingers threaten to fall off every time I touch the steering wheel. Whatever it is, fingerless mitts just aren't cutting it and everything else I have in mitten form is elbow length and is just a hassle to take on and off without having to remove my jacket. At the beginning of my Starteritis I had cast on 2 pairs of fingerless mitts. I have since frogged them and have been on a search for mittens that would fill my needs. Then last week Tanis of Tanis Fiber Arts posted a pattern for her thrummed mittens and conveniently had a shop update at her TFA One Of A Kind Etsy Shop the next day. Um...I may or may not have stalked her shop and snagged myself the kit I was eyeing and hoping to get when she posted a teaser photo of the kits that she had put together. My lips are sealed. Since then, I just.can't.stop thinking about thrummed mittens. To the point where I spent a good hour searching the internet for photos of finished thrummed mittens, tutorials on how to make the thrums, and tips on how to get them super cozy and yet look neat (re: no holes please. Holes = unwanted air coming into my mittens!). I also spent some time watching YouTube videos about how some people made their thrums or how they knit theirs. Yup...I'm going to be thinking non-stop about thrummed mittens until I do something about it. And you know what that means, right? Oh yeah...I'm going to have to knit myself a pair. You know, for my sanity's sake! I'll put it out there that I can get easily distracted (oohhhh shiny!) and have the attention span of a gnat. Or like this kid (that video makes me laugh so hard...cause it's so true!). So I've been trying to limit my internet time purely so that I can actually get stuff done around here. LIke sewing up stock for my etsy shop. And let me tell you, trying to stay offline wasn't easy. It felt like every 5 minutes I would either walk over to the computer, pull out the iPad, or whip out my smartphone (and in between sewing up seams no less!). Totally disrupting my creative and productivity flow. It got so bad that I had to turn off the computer, let the juice run out on the iPad, make Brett take the laptop to work, and set a timer on my phone...such drastic measures meant my blog posts were quite sporadic and my presence on social networking sites lacking. The latter being even more tough since in order to get your name out you have to be pretty active on all popular social media outlets. But hey, it's working. I actually have stuff in the shop and more bags in the works. In case you've emailed or messaged, or left a wall comment or tweet, and it took me a while to get back to you or if I still haven't responded...please be patient! I've allowed myself to go online in the morning, in the afternoon, and before I go to bed. Although, I don't get all Facebook notifications (we won't go there, I get angry), and sometimes I'll read something and then totally forget which social media it was that I read it on (which happens a lot if I'm using my phone or tablet), and then don't have the time to go searching. Dudes, there are way too many social networking outlets out there!! 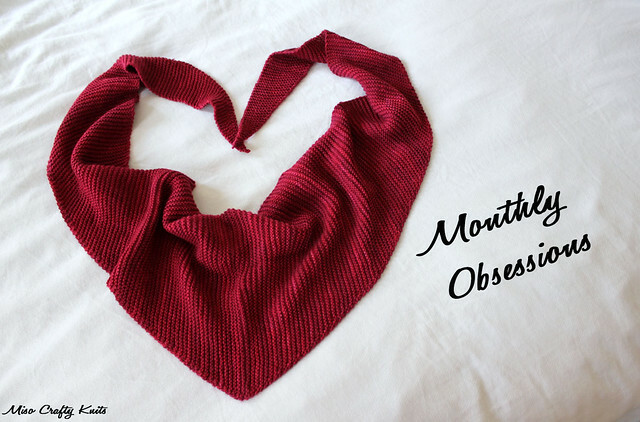 I've gotten so much wear out of my Folded pullover this month (I'll shamefully admit that I've been wearing it way, way too much this past week), that I'm extremely tempted to cast on and knit another. Never mind that I have how many WIPs on the needles at the moment? I just can't seem to get the idea of having another Folded in my wardrobe's rotation off of my mind. Le sigh. Crazy is as crazy does. I'm trying with all my might from holding off on even winding the yarn. Yes, I already have a few picked out. And yes, I did say few. As in more than one. I'm totally going to knit like 3 or 5 of these. 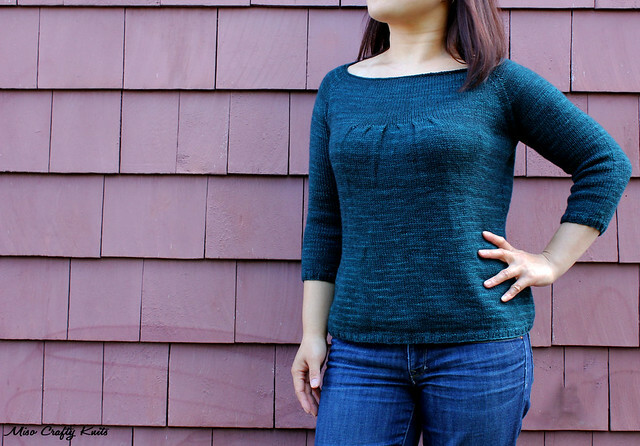 This pullover is soooo comfy, so easy to wear, and so incredibly mindless to knit. Seriously. Simple stockinette in the round. Nothing to it. I plan on having a Folded on the needles at all times as my travel/TV or movie watching/in between other projects/when I want to mentally check out project. But first, I've got Christmas knitting and sewing to get out of the way, and some more bags need to be sewn up for the shop. I'm going to have to admit that selfish knitting is going to have to be put on hold until all of that is done. Yikes!! Did I just say that out loud?? Yes, you heard it and I blogged it. It's going to happen! I have a feeling that December's Obsession list is going to be pretty tame too. After all, I'll be doing nothing but sewing bags, knitting gifts, and sewing some more presents all month long. Speaking of which, I guess I better pull out December's calendar and figure out and tweak my crafting schedule. Anyone else prepared for December and the craziness that is the winter holidays? I'm totally on the same boat re: thrummed mittens! I think Tanis put the idea in my head with her kits (which I missed out on, darn it!). Can't wait to see yours! Tanis is such an enabler!! Or a lifesaver...since I need a kit in order to make thrummed mittens (I know nothing about roving!). I still haven't decided which one she is ;) I hope you get around to making yourself a pair of thrummed mitts!